Vodafone Flying Fijians hopeful, Levani Botia says the national side can cause an upset win against their pool rivals in the Rugby World Cup in England. Fiji is grouped in a tough pool alongside the hosts, Australia, Wales and Uruguay, yet the former national 7s skipper, believes nothing is impossible and all these teams are beatable. 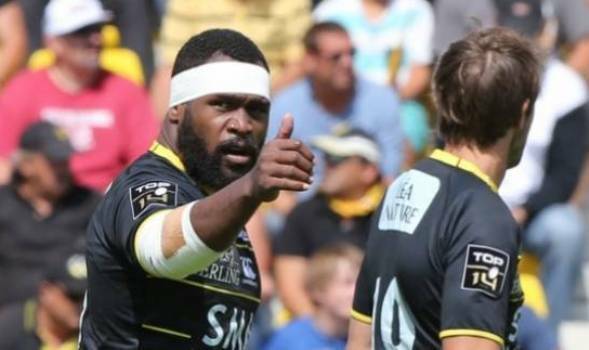 The 26 year old, who is plays club rugby for La Rochelle in France, prefers the inside centre’s spot and will receive some stiff competition for the number 12 jersey from veteran, Seremaia Bai and Gabriel Lovobalavu. Botia is among the 40 players in the Flying Fijians extended squad who will march into a 3-day camp from today to prepare for the clash against the Maori All Blacks and the Pacific Nations Cup.